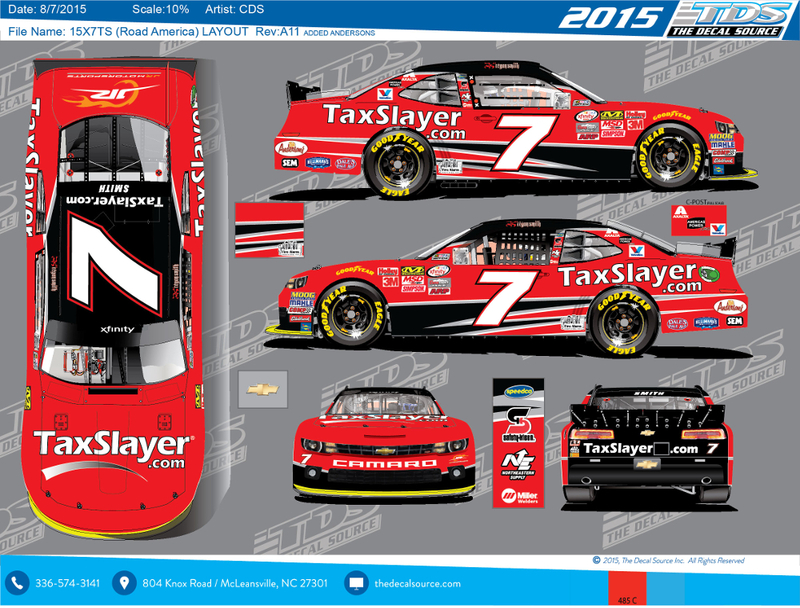 Regan Smith - Anderson's Maple Syrup and NASCAR XFinity Series Powerhouse JR Motorsports (JRM) will partner for 2 races in 2015 with the #7 car, driven by 2014 championship runner up finisher Regan Smith. 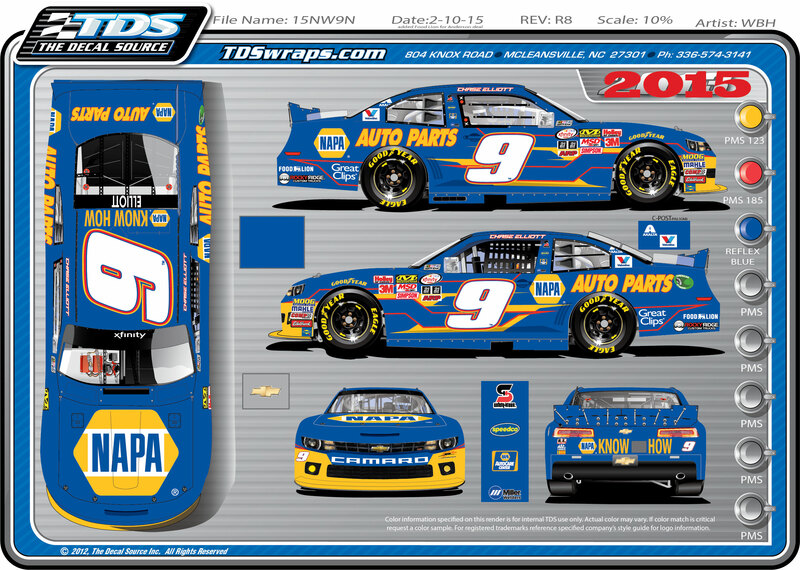 The first of the two primary races will be on May 23rd, at the Charlotte Motor Speedway and airing live on FOX, with the second race being on July 18th at New Hampshire and airing on NBC Sports. 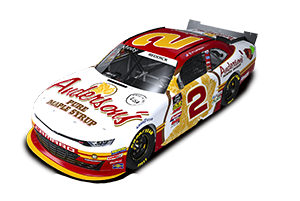 In addition to these two primary races, Anderson's Maple Syrup will also be an associate sponsor for five additional races in 2015 - Auto Club Speedway (March 21st), Richmond International Raceway (April 24th), Talladega (May 5th), Road America (August 29th), and Chicagoland (9/19). 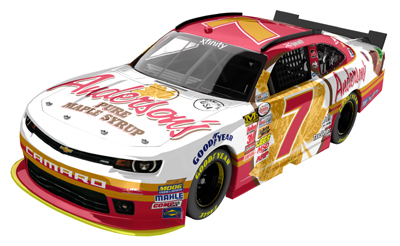 Andy Lally - At the August 29th race at Road America in Elkart Lake, WI, Anderson's Maple Syrup will be the primary sponsor on the #90 Camaro driven by road course veteran Andy Lally. In 2014, Andy survived multiple cautions and wet conditions to stay competitive all day, ultimately resulting in a 7th place finish at the 4 mile road course. This year, Andy is hoping to build off his success last year to help get him into the top 5 and competing for the race win. The race will be broadcast live on NBCSN at 2:00 CST on the 29th. [ Click here to see Andy's interview at Mid Ohio Sports Car Course on 8/15. Click here to view Saturday's race report. Click here to view Thursday's practice report.